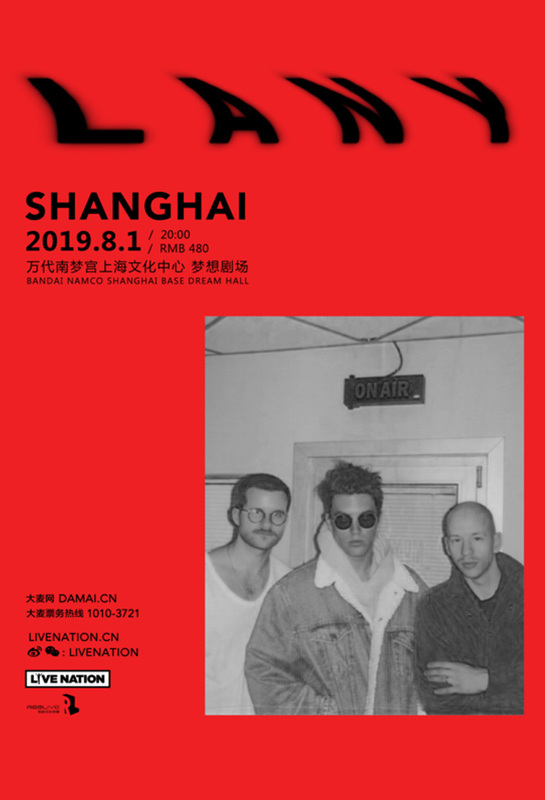 Live Nation's bringin LANY's their 2019 Malibu Nights Tour to Shanghai. After two sold-out shows in Shanghai both in 2017 and 2018. A Los Angeles-based trio comprised of Paul Klein (piano, guitar), Les Priest (keyboards, guitar), Jake Goss (drums). The band formed in 2014, releasing their first set of songs at the end of the year, building an international following, playing at over 350 live shows. Their sophomore album, Malibu Nights, released in October 2018, packed with euphoric, epic anthems, joyous pop hooks and ballads, true to their musical style.